Home / Chaulmoogra Oil • Hair / What is Chaulmoogra Oil & How Can You Use It? What is Chaulmoogra Oil & How Can You Use It? Chaulmoogra oil has various benefits for the skin. The oil is derived from the seeds of the chaulmoogra tree, which is aka Hydnocarpus wightiana (can you say that 3 times in a row?). Other names also include Taraktogenos kurzii, Hydnocarpus kurzii and Hydnocarpus laurifolia. The tree grows in tropical forests found in India. The chaulmoogra tree can also be found in Sri Lanka, Nigeria and Uganda. Chaulmoogra oil is obtained from the seeds of the tree via steam distillation to preserve the purity of the oil. It is a pale yellow/brownish colour with a potent woodland aroma. In ancient times, the oil was used in India & China to treat ailments like leprosy and rheumatic conditions. Chaulmoogra oil can be paired with essential oils like tea tree, chamomile and lavender to enhance its benefits. 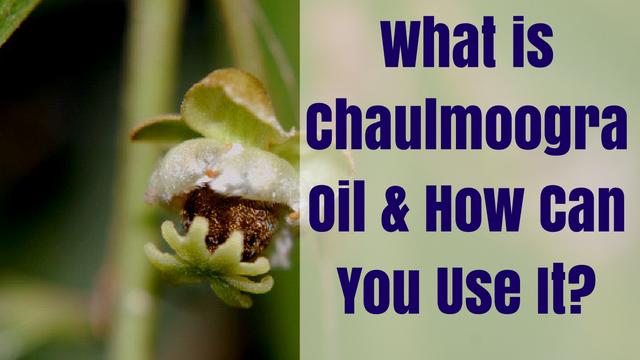 What are the Benefits of Chaulmoogra Oil for the Skin? Chaulmoogra contains an active ingredient known as hydnocarpic acid, which is an excellent antimicrobial agent. It can be used to treat eczema, psoriasis, bruises, wounds and sores. Due to its antibacterial properties, you can use chaulmoogra oil as a mild preservative in DIY concoctions for hair and skin. Chaulmoogra oil has relaxative and anti-inflammatory properties, which can help muscle spasms caused by rigorous exercise, cramps and heavy lifting. For DIY concoctions, add 8 – 10 drops of chaulmoogra oil per 4 oz mix. For other treatments, dilute 3 – 5 drops with a few tablespoons of light carrier oil and massage into the treatment area as needed. 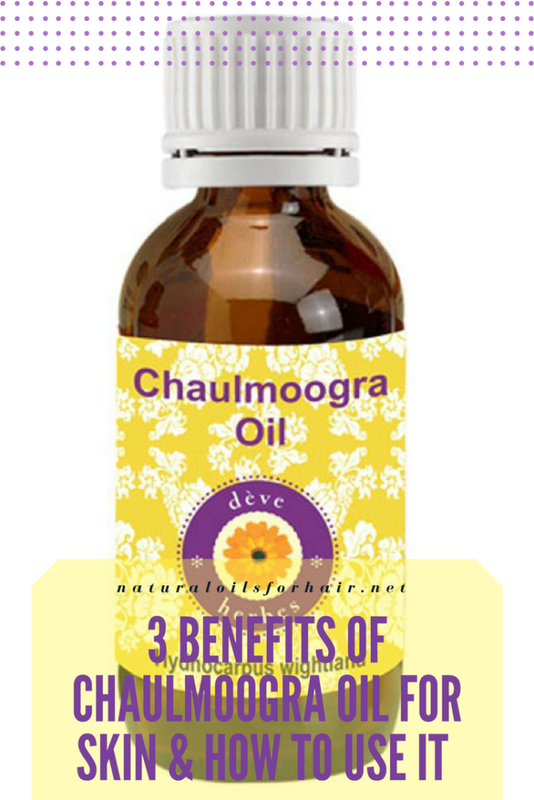 Caution: Chaulmoogra oil is extremely strong and can be irritating to the skin. Do not apply it alone. Always dilute it with a light carrier oil like sweet almond or grapeseed oil to be used externally. It also pairs well with coconut oil. Where to Buy Chaulmoogra Oil? Chaulmoogra oil can be found in your local Ayurveda store. You can also purchase online on Amazon – Bianca Rosa Chaulmoogra Pure Essential Oil & Deve Herbes Pure Chaulmoogra Oil.